Isn’t it time you upgraded your dog gate or baby gate from those ugly plastic or metal store bought gates? Those plastic gates are flimsy and the metal gates lack style, neither can be customized to blend into your décor. Buying and customizing your open concept safety gate from byDakor gives you the ability to mesh functionality with style. The best part is, right after being beautiful, they are designed to allow your child or pet to have line of site, keeping them calm and protected. Your choice from 28" up to 50"
Please read my policies for my most current turnaround times. The craftsmanship and design of this gate is gorgeous. 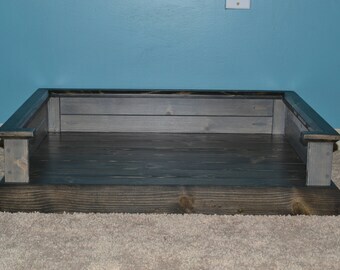 Our home is very rustic farmhouse with reclaimed bar wood floors and ruff cut baseboards and door frames. 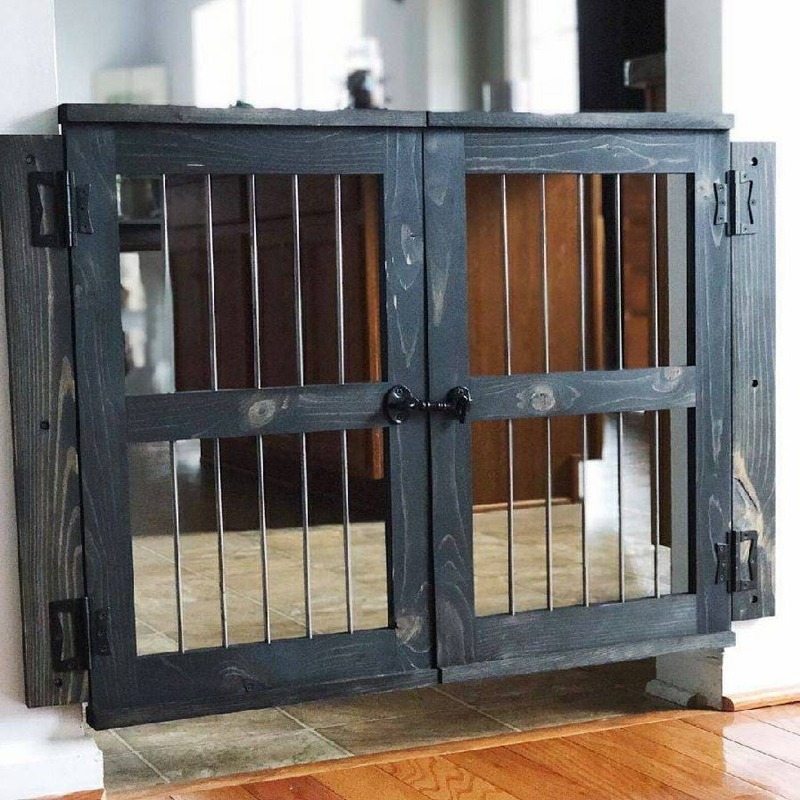 This gate matches our home style perfectly and it is going to help keep my fur babies out of my children’s rooms and toys! Thank you so much! OMG! This gate is exactly what I wanted. The gate fits the opening like it was made onsite. The finish is very nice. This seller is very customer oriented. Perfection! 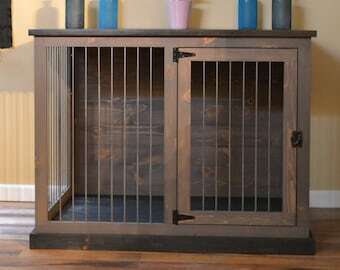 What shipping methods are used for large items such as dog kennels? First of, large items are required to be shipped as freight. As such, the costs range from $200 - $400, dependent upon size. We make ever attempt to make this type of shipping affordable for our customers, but we have no control of these costs. Items shipped using this method will be shipped to a local freight terminal for pickup. Upon arrival, the freight terminal contact the customer for pickup. For safety reasons, please have someone available to assist you when picking up your item, then kennels can be heavy. What methods are used in shipping smaller items? Items which fall below the size and weight requirements for freight will be shipped using various available common carriers. For the most part, we will use carriers such as USPS, FedEx, and UPS for shipments since they cover most of our delivery locations. We do reserve the right to use other carriers in an attempt to make shipments more affordable for our customers. 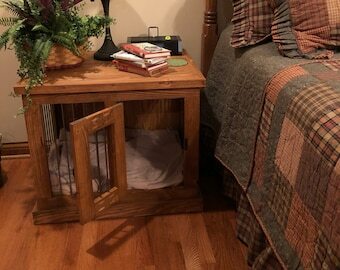 What if our dog chews on the kennel? Our kennels are made out of wood, and are created for dogs that have been trained. If your dog does chew on the kennel, we sell individual parts such as kennel tops, bottoms, sides, and doors that can be replaced by the customer. In an attempt to take a defensive stance, we suggest applying lemon or Nature's Miracle® No-Chew Bitter Taste Dog Spray, to the inside of the kennel to help alleviate potential chewing. Is the anything to protect the bottom of the kennel? Are your kennel rods coated/painted for rust protection? In short, No. However, not being painted adds the rustic look and allows you to use steel wool to clean rust off of the bars. To clean just gently rub the bars in an up/down motion with steel wool to bring back the original look. Why are you production/delivery times so long? Our production times are based on the current production schedule. This production schedule can increase or decrease at any given moment. As such, we have listed the production time of a moderate schedule. If you would like a more accurate representation of our current schedule, please initiate a convo with us. My item was damage is shipping, now what? First, we will work diligently to solve and remedy the case with the common carrier which damaged the item. Normal cases take a few days to a couple of weeks to settle with the common carrier. More extreme case can take longer, and we are unable to predict the length of time that it may take. In a cases of lower costs to reproduce, and that settles quickly, we will begin either remaking the order, or issuing a refund. In instances where conciderable costs are involved with reproduction, or refunds, it may take conciderably more time, due to the length of time associated with the common carrier settlement.